Several of the people who lived in Vardaman from the earliest days of the town have written their memories. These have included information concerning the original stores, churches, homes, residents, and officials. Almost all of these pioneers are no longer with us and there are so many questions that we wish we had thought to ask them! Others who have knowledge of the town’s later years are still here, however, and we should take advantage of their memories while we can. Peggy Skinner, Norman Griffin, Dewitt Spencer, and Zilla Spencer, among others, have long suggested that a more formal history of Vardaman should be researched and written. The Vardaman History Project (VHP), begun in 2012, is an outgrowth of those suggestions. The project team, an informal and volunteer group made up of residents and former residents of Vardaman, has undertaken to do this. This team plans to gather as much existing historical material about Vardaman and the surrounding area as can be found, to do additional research to fill in as many gaps as possible, and to present this information in written and multimedia form to anyone who is interested. The team also intends to secure the collected material and the resulting writings so that they will be available to future generations. A Vardaman History Project Group on Facebook was begun in the fall of 2012 to awaken interest in the project among folks with connections to Vardaman and to provide a convenient place for sharing information and photographs of the people and sights of Vardaman throughout its history. It has been, and still is, very successful in doing this. However, as the number of postings to the Group increases, it becomes harder and harder to get back to the earlier posts and there is always the danger that Facebook will change its format or rules to make the information less available. This web site is intended to be a parallel effort with the Group site and may reach people that are not Facebook users. Jim Young is the chairman of the team and is also the webmaster for this web site. He can be reached at 850 862-8642 or at youngjmy@cox.net. 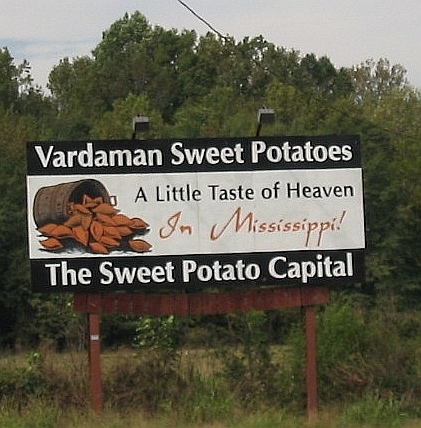 This website is sponsored by the Vardaman History Project and the comments here do not necessarily reflect the official views of the town of Vardaman, Mississippi. Unless otherwise noted, all contents are ©VHP, however the copyright for shared photographs and other donated material remains with the owners.